10inches 13inches 15inches 17inches?are laptop screen sizes, which are for item references only. Of the same screen sizes, some laptops are larger or smaller than others. Please measure the outside dimensions of your laptop, and make sure it will fit this bag before you ordering. Shoulder bag Features: Christmas fireworks printed, 2 compartments in all: one zippered auxiliary compartments and one main compartment. The main compartment is designed with dual zipper for easy opening and access. 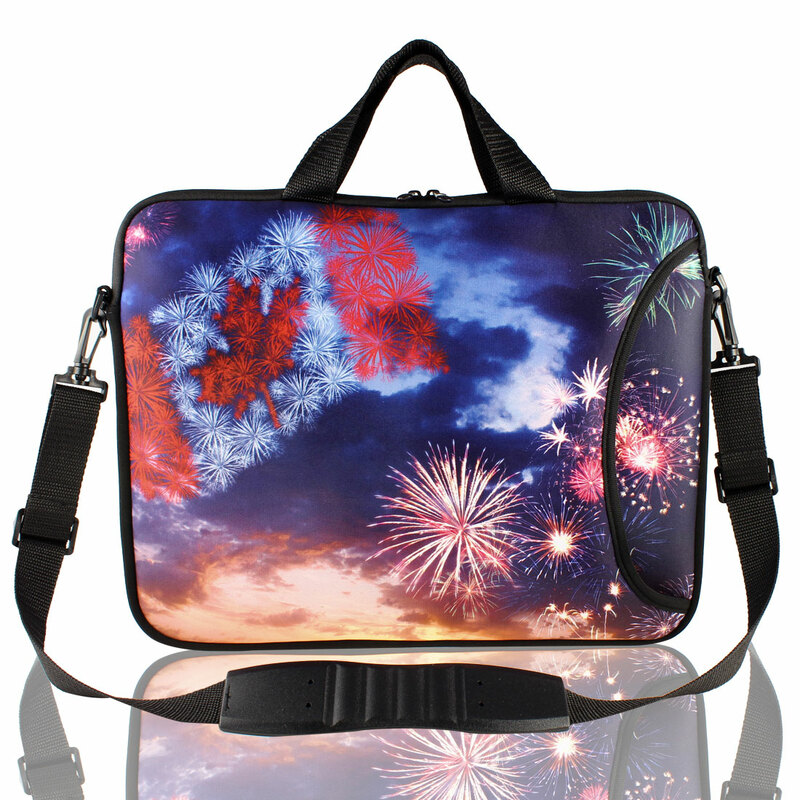 Sleeve Case bag Features: Christmas fireworks printed, main single compartments. This is a non-OEM product. Accessory Only. Laptop is not included here.